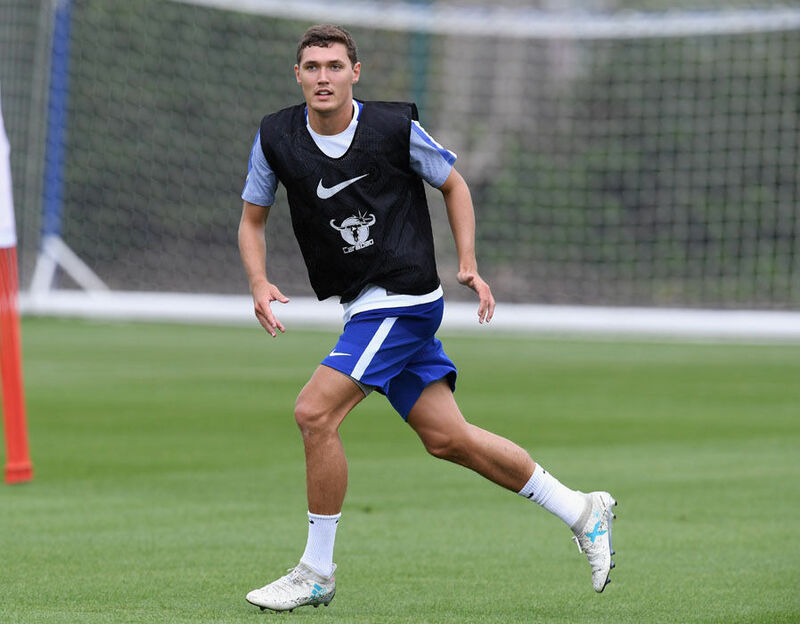 Andreas Christensen: What a chance he has this pre-season to stake his first team claim. Andreas Christensen, now 21 has a massive chance to stake his claim to be involved at Chelsea this season with our three game tour of the far east in pre-season. As we know, John Terry has left the club and signed for Aston Villa, Kurt Zouma is expected to sign for Stoke on a season long loan arrangement and with just Toni Rudiger signed as one of two replacements, Andreas Christensen has a massive opportunity to stake his claim for a spot in our first team squad this season. The coming season will be very different to last with our involvement in the Champions League in addition to the three domestic trophies we are looking to win. You have to imagine that this is the aim for Antonio Conte now as you only have to look at the games last season in the FA and League Cups and the teams he put out against the lesser sides down the divisions. I am 100% certain that Conte will look to rotate his playing squad with those considered on the brink of a first team start given starts the domestic cup competitions and maybe, just maybe quite a few of them given Premier League starts against what many people believe to be the so-called lesser sides of the division. That's why I am disappointed that Nathaniel Chalobah and Nathan Ake decided to move on because they would have been given more game time. However, the promise of playing week in, week out was too enticing and they decided to leave which is fair play for them personally. So to Christensen who has made a massive impact in the Bundesliga with Borussia Moenchengladbach for the past two seasons. A regular first team player for the most part, he will be looking to make an impression on the manager straight away and you would have to imagine that he would not want to settle for a place just outside the first team when it's clear that there are plenty of European clubs looking to sign him to play regular football. If we take the back three from last season which became the cornerstone of our success you have to ask yourselves whether or not we could improve on Cesar Azpilicueta, David Luiz and Gary Cahill? If I am totally honest, Antonio Conte had to make use of what he had available as far as Cesar Azpilicueta is concerned. You simply cannot afford to name a Chelsea team without him included and I think that we can all agree. So is there a chance for Christensen or Rudiger to come in and play ahead of Azpi to force Conte into playing him on the right in the place of Victor Moses? Is Gary Cahill's position under threat now with the signing of Rudiger? These are questions that will be answered in the coming weeks but I am more than happy with the fact that firstly we signed Rudiger and that Christensen has come back into the fold because they WILL provide immediate competition for places in the starting eleven. That's all that we can ask for to keep those players from last season on their toes, to keep working hard and to up their own individual game to ensure they keep their place. This is a massive opportunity for Andreas Christensen. Let's hope he takes it.